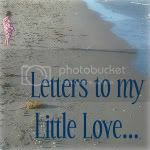 letters to my little love...: "Buh or Duh?" It's amazing to me how much a little person can develop in four short years. It's so exciting to watch you learn and grow, but sometimes it's not. Each stage you grow out of, is a stage we won't see ever again. That's a little hard for me sometimes. It's bittersweet to watch you grow out of some of your precious Emma-isms. For instance, I will never forget how you pronounced Super Why when you were one. "Wa-Why? Wa-Why?" you would ask us so sweetly & innocently when you wanted us to turn on your very favorite show for you. How could we say no to that? We watched a lot of "Wa-Why" during those days until one day I noticed that you clearly articulated "Super Why." I'm not going to lie. I felt a little crushed. I mean, I knew developmentally it wouldn't be appropriate for you to say "Wa-Why" for the rest of your life, but was that phase of our life already over? So quickly? Daddy & I sometimes chuckled to each other over how adorable your "Buh or Duhs?" were, but Daddy wondered when that precious phase would end. I hoped it wouldn't be for a long, long time. And then one day I noticed it. It was after we returned home from the holidays. We were reading one of the new Bob Books you had been gifted, when I first noticed the disappearance of "Buh or Duh?". I think I struggled not to cry as you provided a lone "Buh" or a single "Duh," sometimes getting the letter sounds right & sometimes not. I chalked it up to a one time fluke. Surely "Buh or Duh?" would return, but it hasn't. "Buh or Duh?" has become a thing of the past- a phase you've grown out of. I know I should be happy. It means you're learning & growing & developing, but I can't help missing the precious way you looked up at me with earnest eyes as you adorably said "Buh or Duh?". At least we still have "breaf-kast." You have sweetly juxtaposed your f sound & k sound when you talk about your morning meal, & I'm never going to tell you it's not the correct pronunciation. I know that like endearing "Buh or Duh," cute "breaf-kast" will likely be short lived, but I'll hold on to it & your fleeting childhood moments for as long as you'll let me.